Dr. Sam Parry - WG Henschen - Aerospace Parts, Ring Locked Products & Tooling Distributor. Dr. Sam Parry has 40 years experience in military operations research. He conducted studies and developed models for the US Army in the areas of combat simulation, test and evaluation, analysis of alternatives and human factors engineering. He is currently on the Honors Faculty at Arizona State University and teaches Human Factors Engineering to undergraduate and graduate students. He also teaches Mathematical Analysis for Business majors at Chandler-Gilbert Community College. Sam is currently an Operations Research consultant for the Institute for Defense Analyses, most recently as Member of Operational Test Teams in Yuma and Twenty-nine Palms to evaluate the JAGM missile and the JLTV combat vehicle. Previously he developed a new paradigm for planning and conducting field tests for DoD systems using Bayesian formulations. As a Senior Fellow of ARTIS Research, he participated in the development of curriculum for five Cyber security courses in conjunction with Stach & Liu, Inc. Currently he is Chairman of the Board for ARTIS International. His current work with Syngenta AG (a global company agribusiness, with HQ in Basel, Switzerland, that produces agrochemicals and seeds) involves development of statistical and optimization models for prediction of future yields of soybeans and field corn in order to reduce the cost of planting test fields during the seven year cycle from initial cross to commercialization. He is also on the Board of Directors of NOVUS Energy Technologies, a start-up thermoelectric device manufacturing company in Raleigh, NC with a focus on high temperature heat-to-energy conversion and power generation. Sam was a Senior Operations Research Consultant for Boeing, Mesa from 1998 to 2015 focusing on the Apache and AH-6 combat helicopters. He conducted studies for International Business Development using the Joint Conflict and Tactical Simulation for Israel, Taiwan, Japan, Kuwait, Korea, Turkey and Saudi Arabia, in addition to a 2 year study of the effectiveness of directed energy lethal and non-lethal weapons. From 2011 to 2013 he developed strategies and opportunities for marketing RTI technologies for the Department of Defense resulting in research and development grants from the Department of Defense. 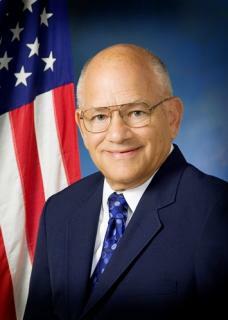 He retired as Professor of Operations Research at the Naval Postgraduate School in 1998. He was inducted into the U.S. Army ORSA Hall of Fame on November 14, 2007 and the Dr. Samuel H. Parry Modeling and Simulation Laboratory at the U. S. Army TRADOC Analysis Center, Monterey, CA was dedicated on March 23, 2000. He holds a Ph.D. in Operations Research/Systems Engineering from The Ohio State University; a M.S. in Industrial Engineering from Northwestern University and a B.S. in Industrial Engineering from Georgia Institute of Technology.